Is God mean? Just because one doesn’t believe on him, will he send that person to Hell? However, another perspective may help us better understand. Lets rewind back to the 1980’s. Harry Randall Truman lived near Spirit Lake leading up to the fateful day of May 18, 1980. He became a short lived celebrity – he refused to believe he was in danger. He loved the lake and it’s associated mountain – desiring to eventually die there. If he were to leave, heartbreak would probably have killed him because he loved his surroundings. He knew the risks, he just did not believe the reports. 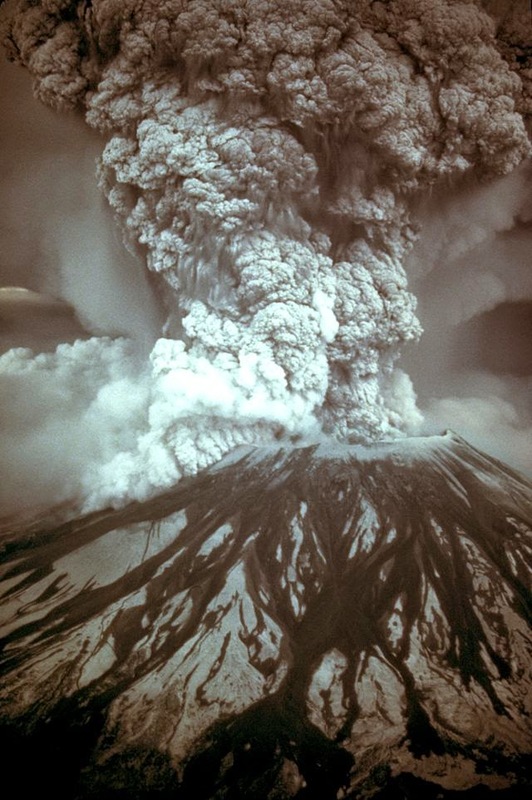 But on that fateful day, against the hopes and desires of those around him, it happened, Mount St. Helens blew, burying Truman 150 feet under debris. Another narrative comes to mind – one that God wrote. You see, we also are in a predicament – impending doom awaits us unless we move. Think about this – 100 out of 100 people will eventually die. But there is another problem, worse. Hell is at the doorstep of death. We have all done wrong and are broken humans. Who has not lied, lusted, stole or blasphemed God? Even if just one of God’s holy laws is broken – we still broke the law. Justice must be served. Just like a prison, Hell is a good place for bad people. It’s not an evil place as some think. It’s bad for those who go there – but good for justice. There is only one fix, a path away from this impending doom. So narrow and so hard, many ignore its existence. Some believe but don’t follow. This path was made by that great teacher, Jesus of Nazareth. Standing at its entrances, he beckons all to enter. He wants all to turn and come to the safety of God’s mercy. Most will reject. Not wanting God, they hate him. The path we take now will dictate the location of the here after: with God or away from him. Being a loving God, he will not force people to love and follow him – he lets us have free will. Just as a man’s true love will not force a women to marry him, so also is God’s love. As Truman would be unhappy severed from his lake, so are people with their life. His life was the lake and the mountain, if he wanted to really live, he would have had died to his love. Some love their life – but in the end comes death. This reminds me of that great Nazarene teacher who once said “Whosoever shall seek to save his life shall lose it; and whosoever shall lose his life shall preserve it” . But the first story brings home another thought, even if Harry did believe those around him, if he really did trust the experts, action would have to have been riveted to that trust or else he still would have been doomed. Obedience must be in sync with belief. Just as one writer put it, “Even so faith, if it hath not works, is dead” . Death and Hell are impending upon all of us, we have only one other option, turn and follow Jesus’ escape path.